Domain control is a wonderful tool granting greater control over your company expenses and how they are submitted. Setting up Domain Control for your group is quick and easy for any Admin on a Control Plan policy. 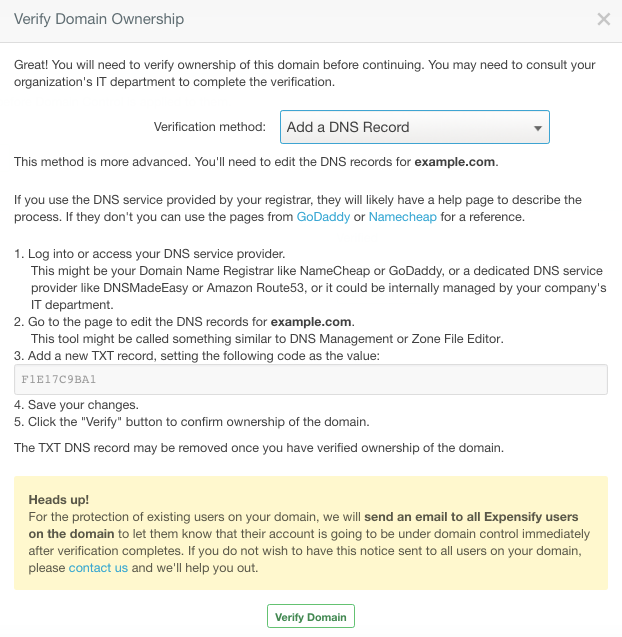 To learn what Domain Control is, check out the article here: What is Domain Control? Go to Settings > Domain Control and click “Get in control”. 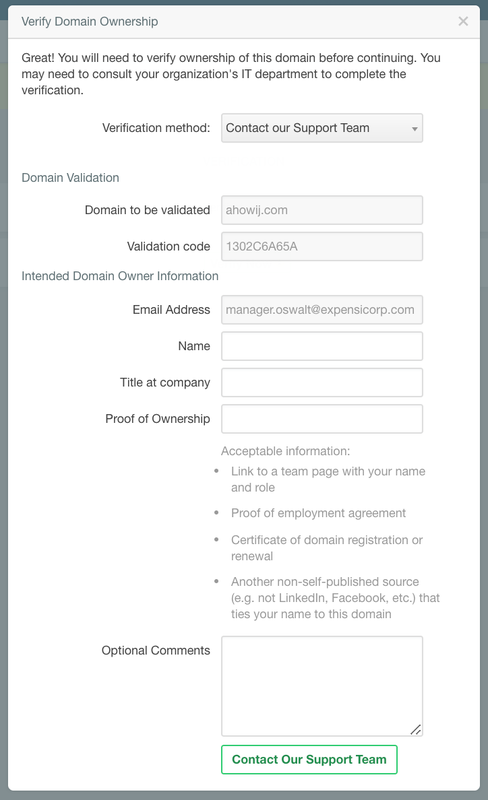 You will then need to verify ownership of the domain before continuing. You may need to consult your organization’s IT department to complete the verification process. Simply fill in the fields and let us take care of the rest. Once you've claimed your domain a host of company controls will be at your disposal! Go to Settings > Domain Control > [Domain Name] > and explore the options visible in the menu on the left.